This is the start of the Appalachian Trail at Springer Mountain, Georgia. in 1991. 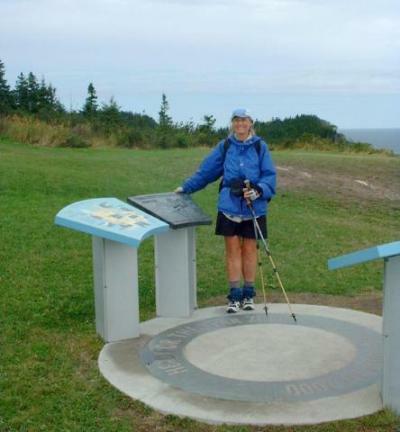 This is the end of the Appalachian Trail at Mount Katahdyn, Maine in 1997. 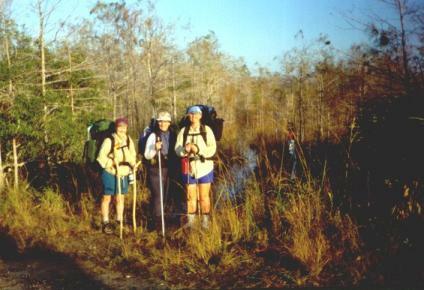 This is Loretta, Joan Hobson and Judy at the start of the Florida Trail on Loop Road in the Everglades on Jan. 14, 2000. 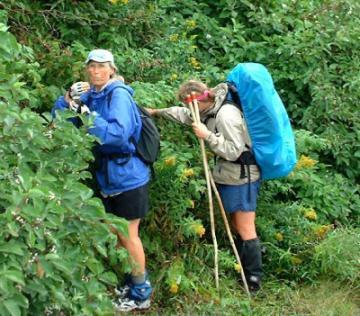 This is Joan and Judy at the end of the Florida Trail in Ft Pickens, Florida, April, 2000. 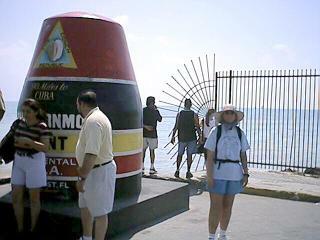 Key West in 2001. She completed the Alabama section that same year. 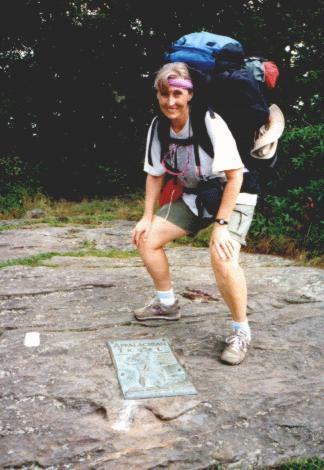 The Start of the International Appalachian Trail on June 26, 2002 at Abol Bridge. 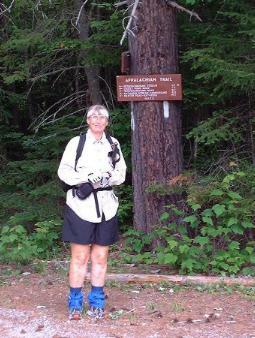 And finally the end of the International Appalachian Trail on August 30 at 12 noon. 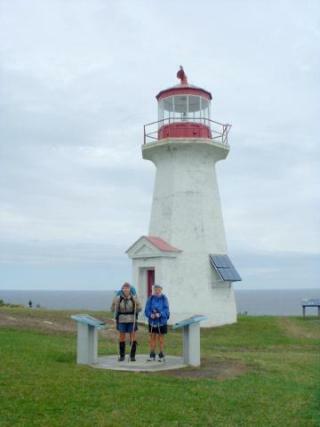 The hiking through Forillon Park was wonderful. The trails are groomed nicely and feature a variety of scenery. I think these are hikers who didn't quite make it. The bears however are really upset because someone has been stealing their raspberries. We are now headed back to the USA to drop Darcy off in Maine so she can finish 75 miles that she missed because of her blisters. Next stop for us is Adele and John in Pennsylvania.